San Francisco is like New York, because you’ve seen so much of it that when you arrive for the first time, it seems perfectly familiar. It’s like perving over lots of someone’s photos on Facebook and then suddenly being with them in person. You’ve never met them before, but they don’t seem like a stranger. 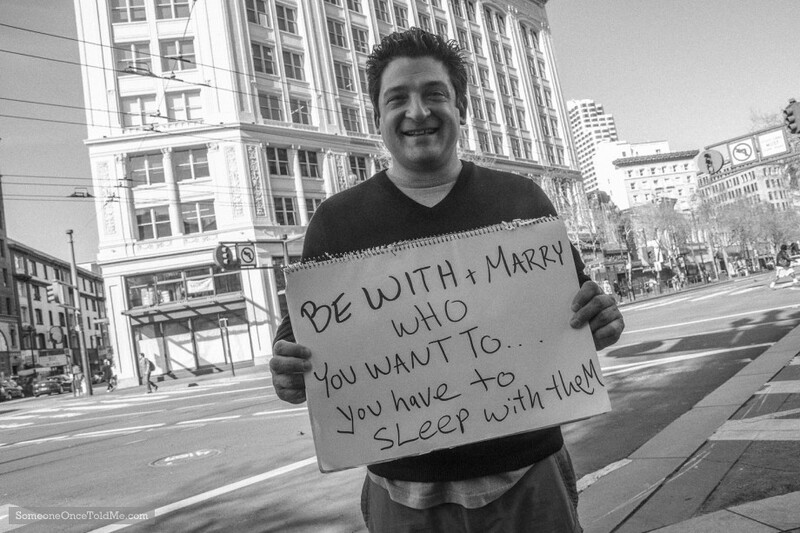 That’s not to say San Francisco is dull, far from it. The up-and-down streets, trams, and stunning architecture will thrill you as you walk around. 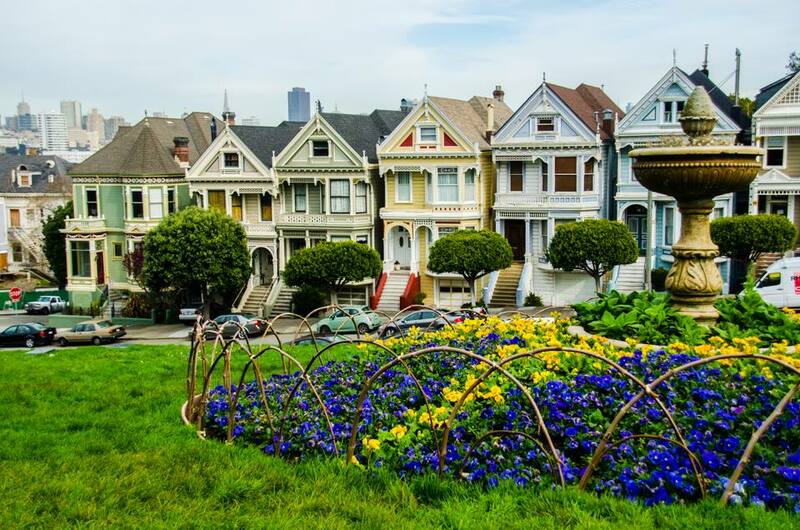 The top image, for example, shows the Painted Ladies in Alamo Square, a famous landmark of several beautiful Victorian houses. I wondered if the people living there ever got sick of tourists gawping at their homes. 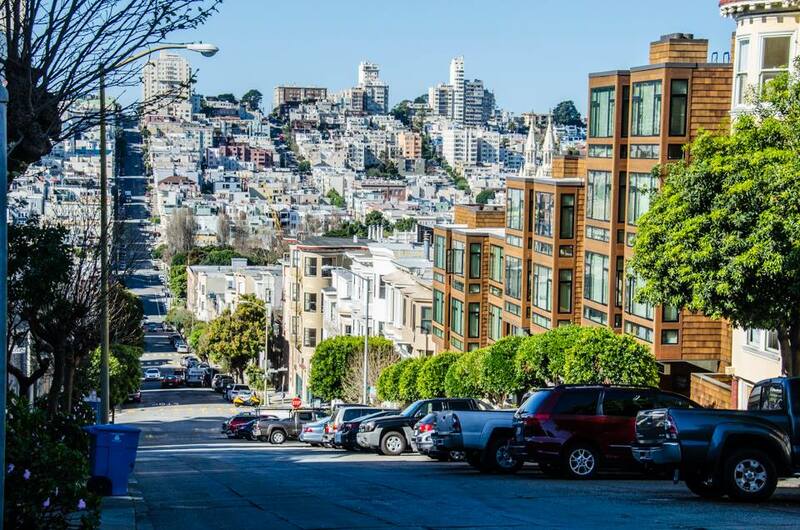 Here’s a shot across the city, one of many that you’ll see as you climb one of the peaks that ripple through San Fran. 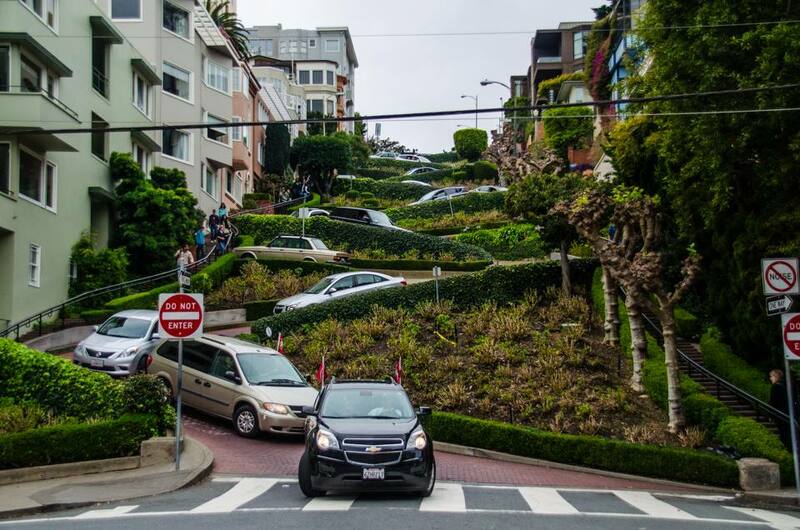 This is Lombard Street, one of the twistiest in the world, if not the most. I recall seeing photos of it in a Guinness Book of Records when I was a boy – I used to love reading them – and was thrilled to suddenly spot it when Kate and I were walking around one day. 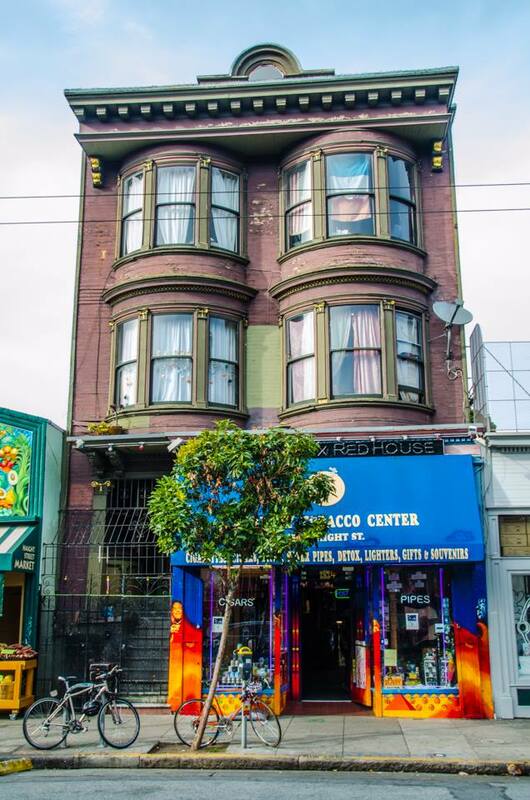 This building is in Haight-Ashbury and Jimmy Hendrix once lived in one of the flats you see on top of the shop below. 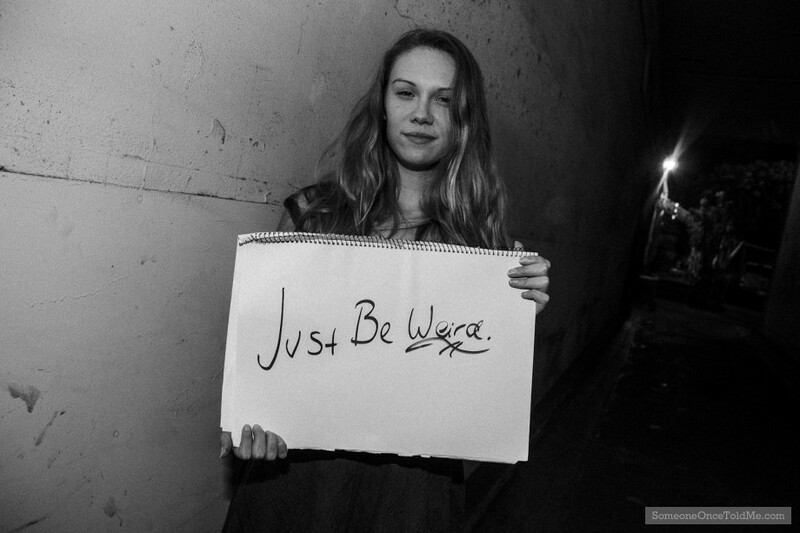 Kate had told me that Haight-Ashbury was a hippiesh kinda place, “where the Sixties never ended, man”. This chap seemed to be embracing this ethos. I love how he thought to wear a hat. I’m actually pleased with how I took this shot, because I used my iPhone from a distance, while walking along and trying to appear as though I was generally using it and not taking a photo. Came out well after all that. Be thankful I didn’t use my zoom lens. 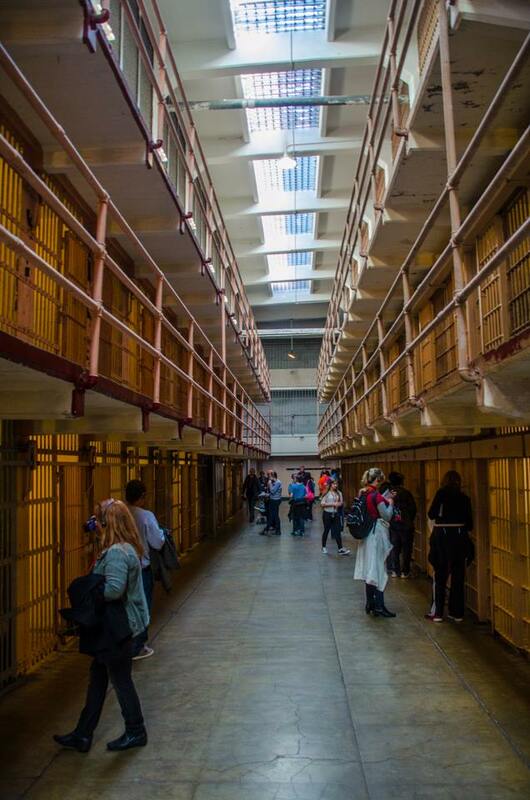 Any trip to San Fran isn’t complete without a trip to The Rock – or Alcatraz, as it’s officially known. I’ve always wanted to go here, and the skies were kind on the day we visited. The trip was well stocked with tourists and usually that means it’s a bit hard to get into the mindset of how morose the human history of the place really is. 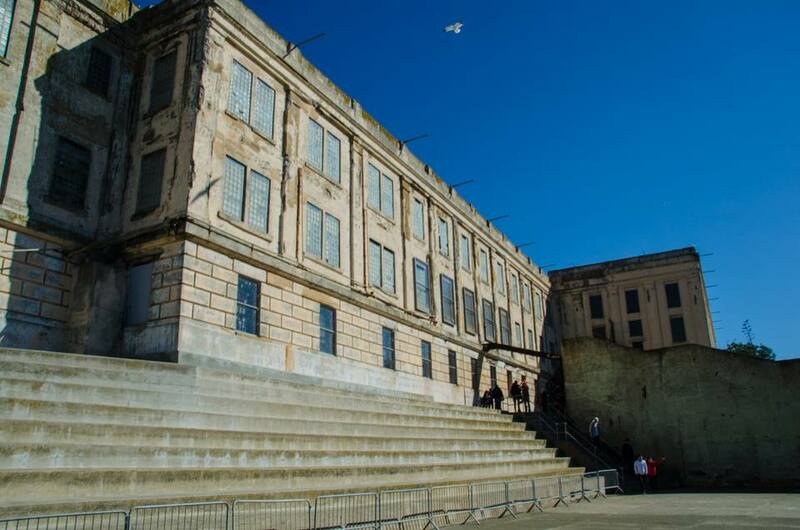 But it’s such a grim looking place physically that with a dash of imagination, seeking out a quiet corner and with the help of the excellent audio guide, the pain and hopelessness of life on Alcatraz seeps into you. 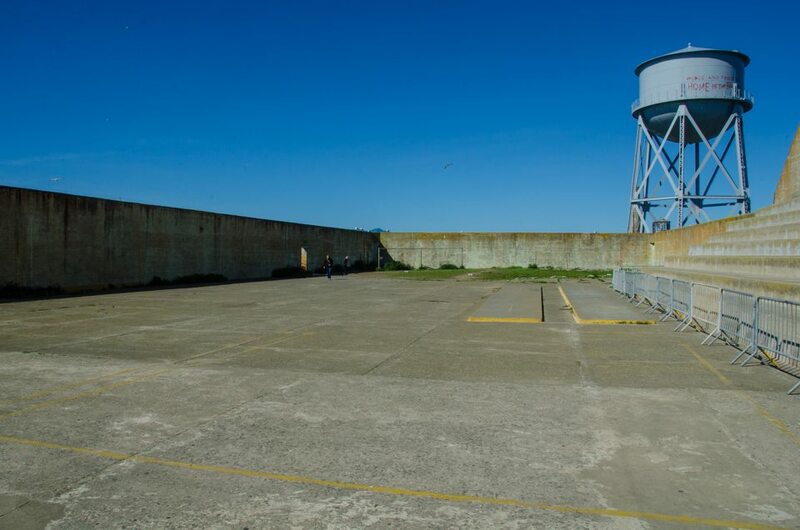 I was quite taken by the prison yard, because it was one place where you could be sure everyone ever imprisoned here would have been at some point. Also, the fact that there was a small baseball field at the far end amused me. What happened if the ball got hit over the wall? This was the dining hall, another quite depressing place. There were once tear gas canisters suspended from the roof in case it ever kicked off, which it never did (in here at least). 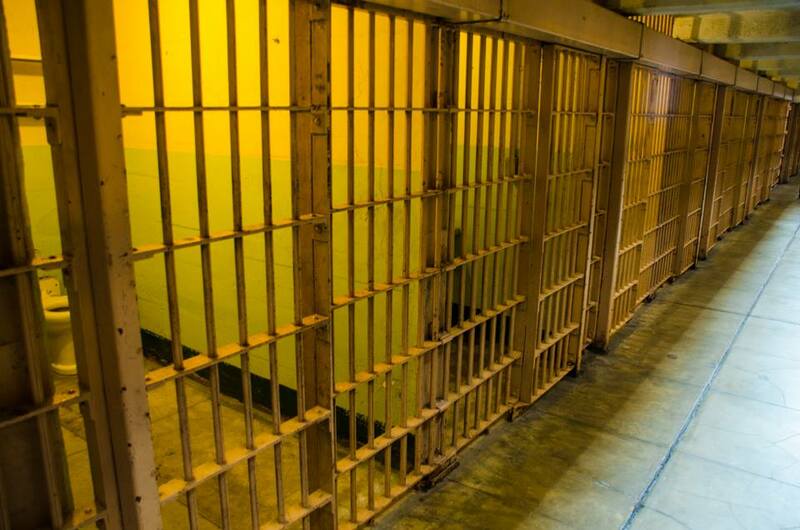 This is just one of the many rows of cells, based on the ground floor (first floor if you’re American). 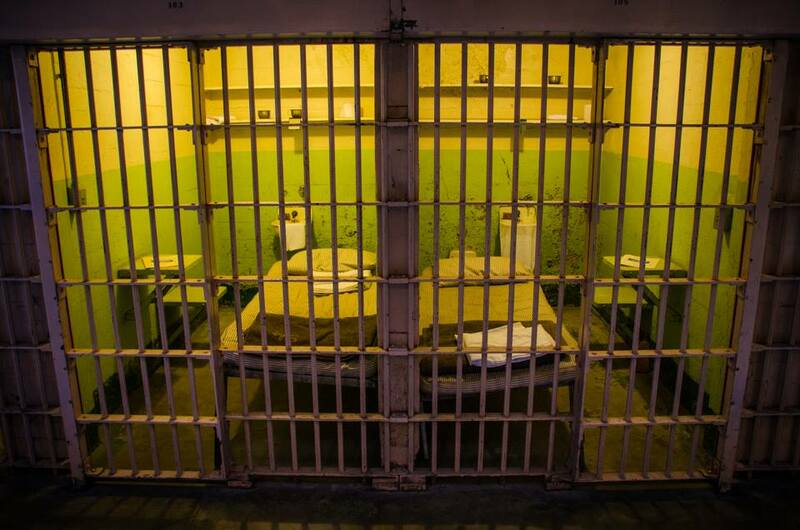 One cell was open and when I went inside it, I could pretty much touch both walls when I outstretched my arms. 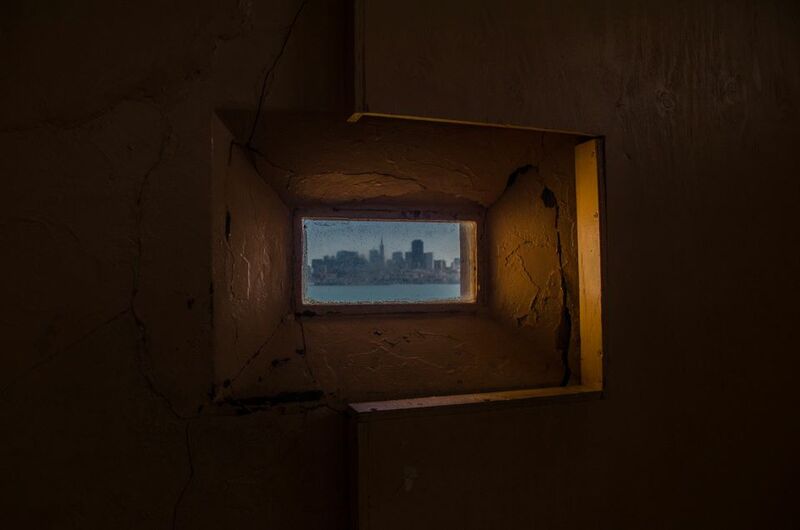 One thing I was amazed by was how visible San Francisco is from the inside of the prison. 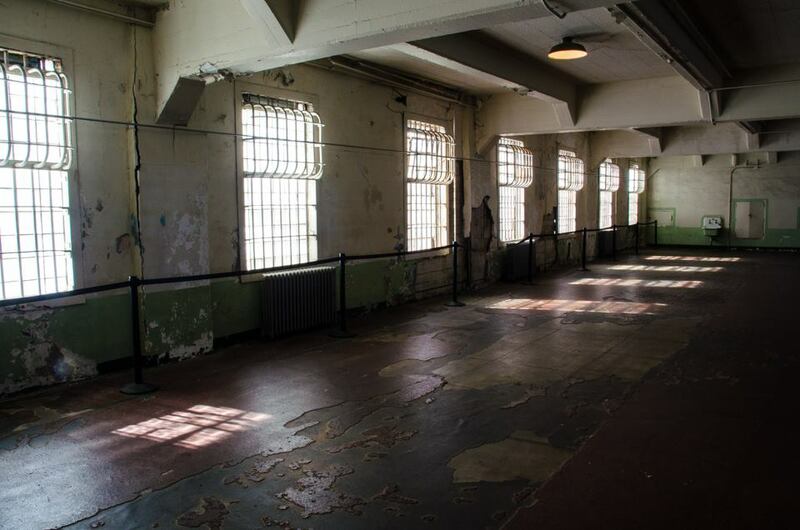 This is a viewing hatch in one corner of the main cell block, and apparently on New Year’s Eve, prisoners could hear the sounds of revelry floating across from the city. Torturous, but they were hardened criminals after all. 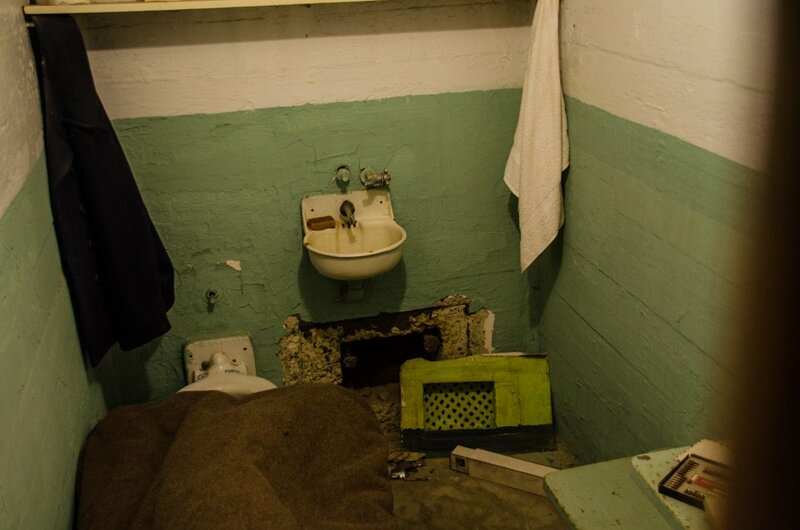 This is one of the cells that featured in a famous escape attempt by prisoners Clarence Anglin, John Anglin and Frank Morris. 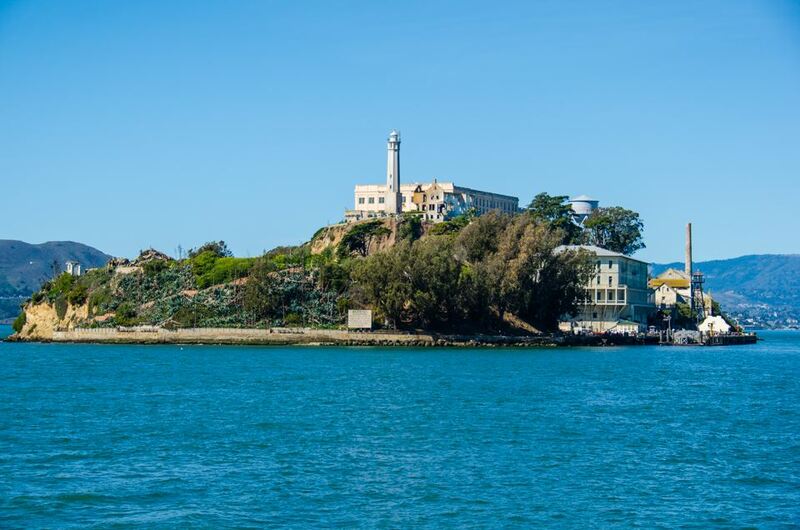 Their story was featured in the Clint Eastwood movie Escape from Alcatraz. It’s a good film and I remember seeing it years ago, so to stand where it all happened was quite incredible. 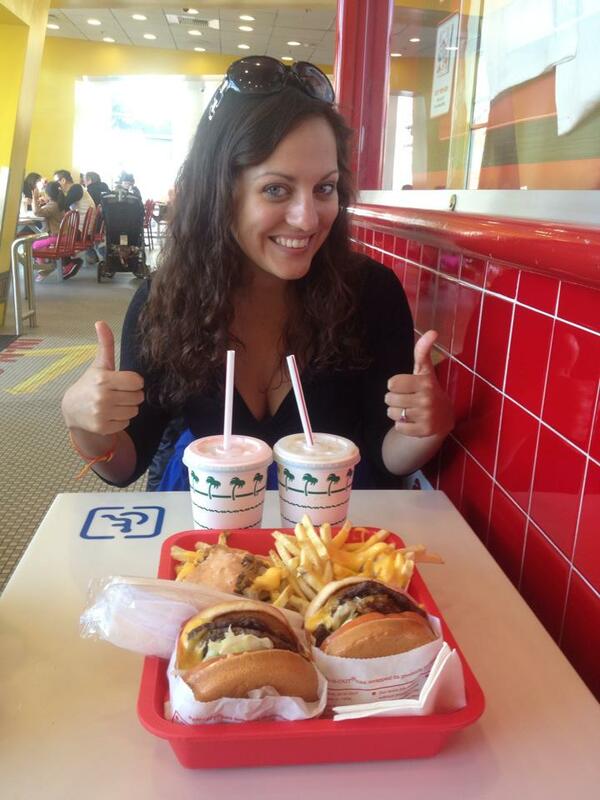 So after getting out early thanks to our good behaviour, Kate and I needed a change from all that prison food – and happily found an In ‘n’ Out burger joint, featuring some of the finest burgers ever to be fashioned from a cow. 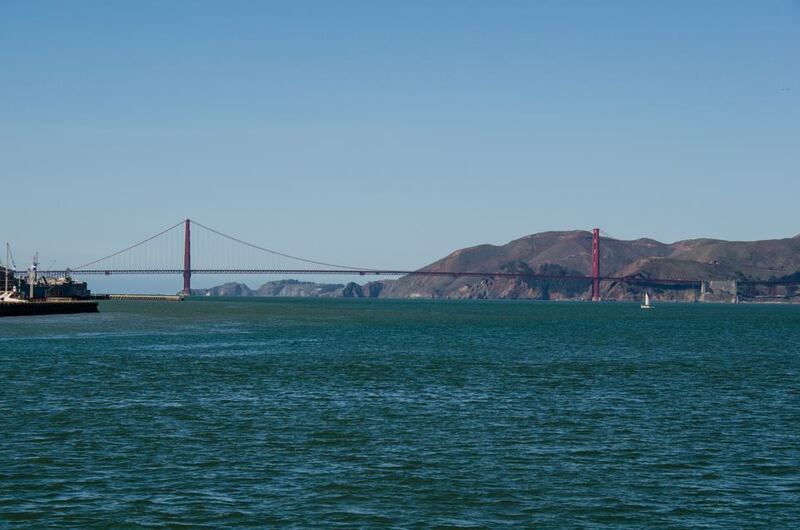 While we didn’t manage to visit the Golden Gate Bridge, we got a good look at it on the journey to and from Alcatraz. As for the SOTM action I got this great story from Brian, who was a charming chap. Also, I bumped into Madison in our hostel and she took part. I made a feature of the hill next to where we were. 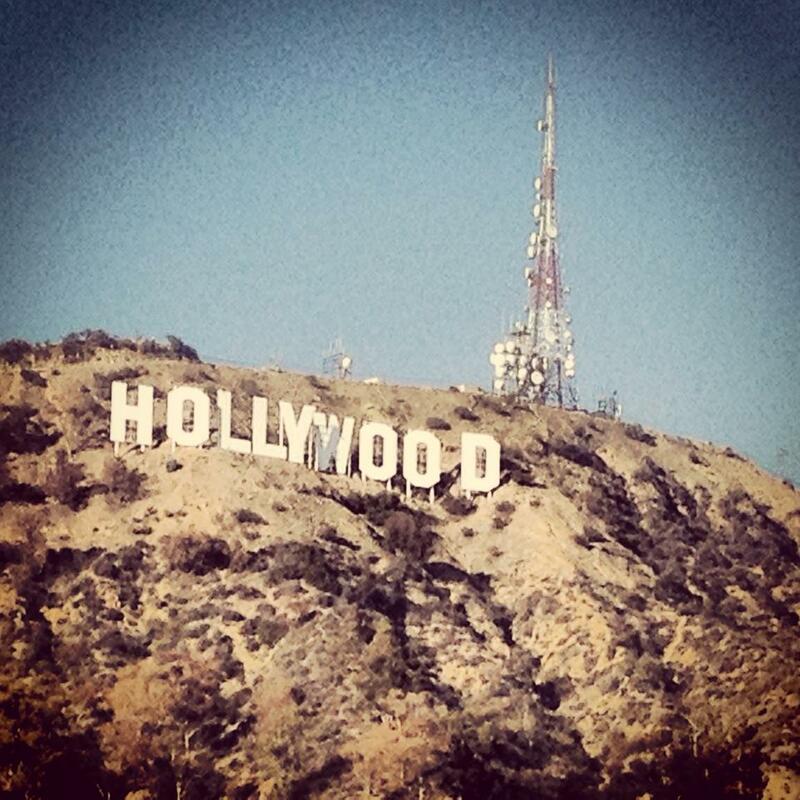 After all that, it was back to Los Angeles where my dear friends Crystal and Cathy live. 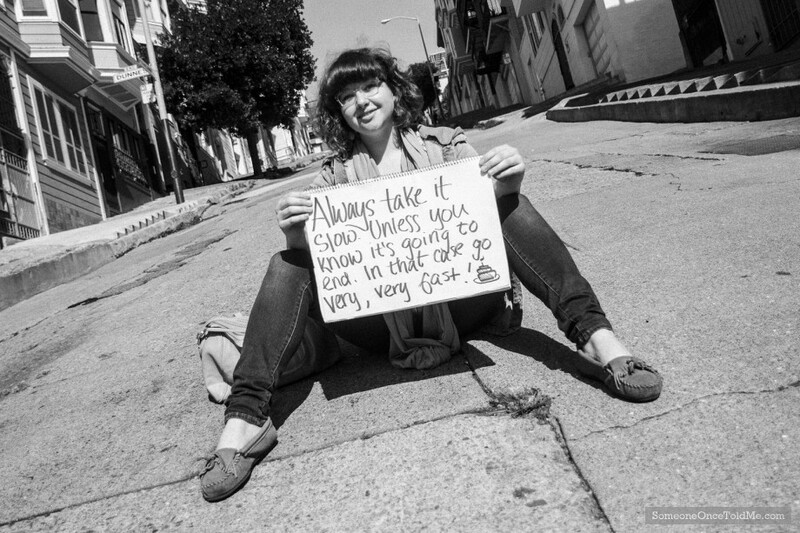 Crystal once invited me over to LA back in 2009 for SOTM purposes, and we’ve all been firm friends ever since. Here I am with Kate and Crystal and to my left is Mara Marini, an actress who I photographed when I was last in town. She plays Brandi Maxxxx in the Parks and Recreation TV show. 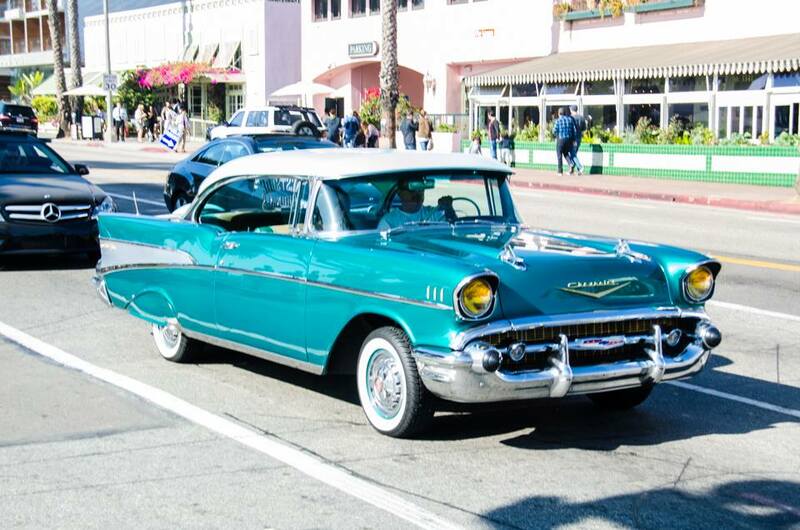 While walking around Santa Monica I spotted this classic 57 Chevy. I had a toy one as a boy and it was one of my favourites. 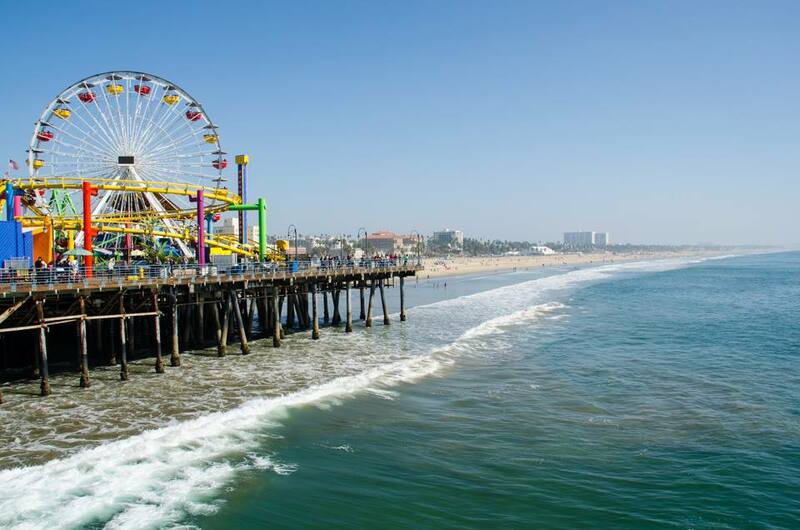 This is a shot of Santa Monica pier, from on the pier itself. 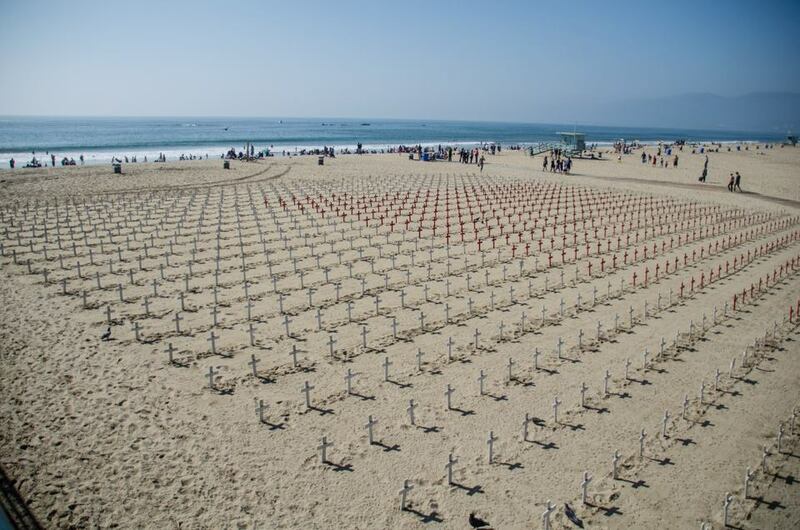 Over the other side is the Arlington West Memorial, a tribute to fallen US soldiers. 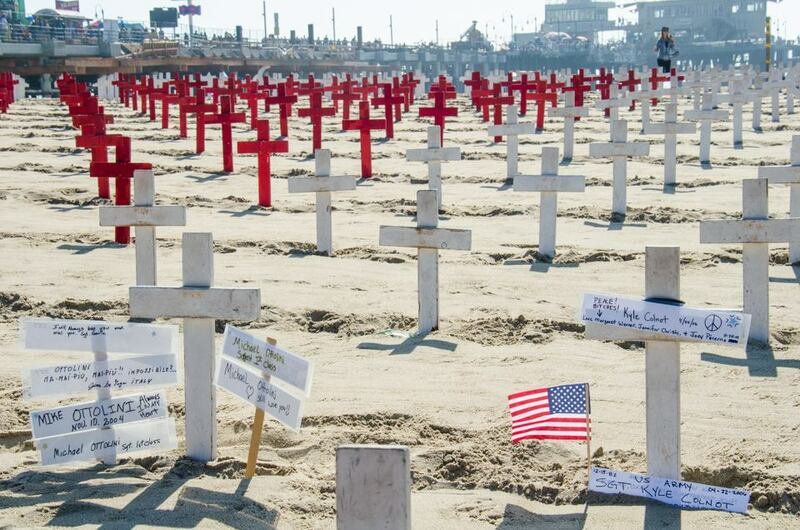 It has lots of facts and figures posted up about American military deaths and asks people to debate the issues surrounding the deployment of soldiers in foreign conflicts. 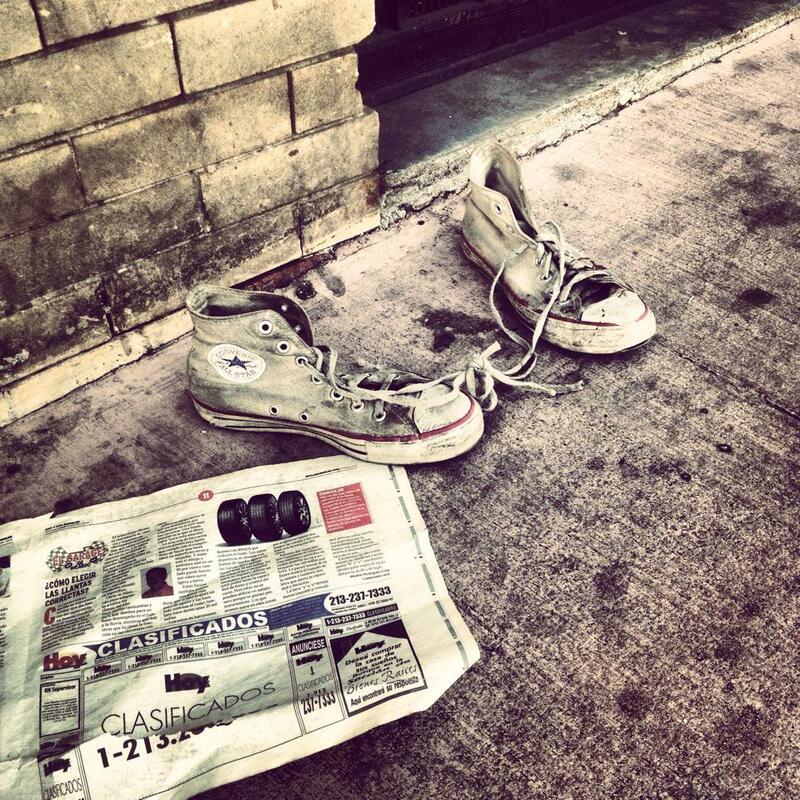 Elsewhere in the city, I spotted these abandoned shoes on a street near to Chinatown. On our last night we held a SOTM meet up and it was a lot of fun. I took a number of shots, including this moody one of the lovely Meg. This entry was posted on Monday, April 21st, 2014 at 9:00 am	and is filed under SOTM World Tour. You can follow any responses to this entry through the RSS 2.0 feed. You can leave a response, or trackback from your own site.